*Now upgraded to include fully enabled RDM and with added features such as emergency mode and grouping. 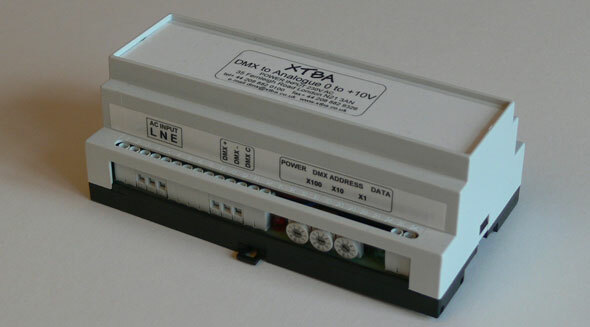 A mains powered DIN rail mounted 8 channel 0 to +10V decoder. 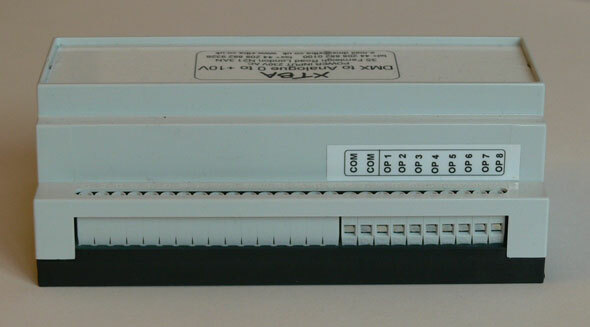 Channels can be set into two groups of four or individual channels set as non dims. 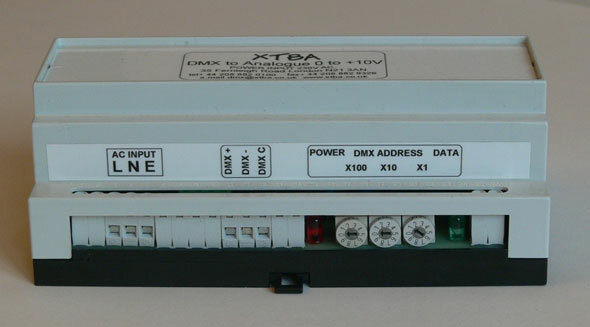 Emergency mode allows all outputs to fade to a predetermined level in the event of DMX loss. Local output test mode from the address switches. RDM enabled. Output 0 to +10V DC. Individual outputs can also be set to act as non dims.